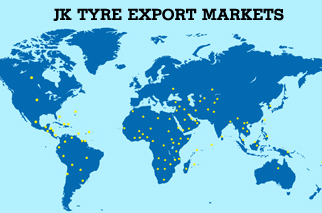 JK Tyre is one of the largest tyre exporters from India;marketed in global markets for over 30 years. The sales footprint, spread over 100 countries across 6 continents operatesthrough a strong and dedicated distribution networkcomprising of over 125 distributors,ably and fully supported by the company's technical team. Besides India, JK Tyre enhanced its global manufacturing spread throughthe acquisition of a Mexican tyre major – Tornel in 2008 to further strengthen JK Tyre’s resolve for increased presence in the NAFTA trade bloc and emerging economies of Central and South America.In addition to Mexico, to meet the increasing demand for our tyres in the global tyre markets, we have entered into sourcing arrangements with tyre companies in China for truck/bus radial tyres. The company’s tyres are marketed in three brands : JK Tyre, Vikrant and Tornel. JK Tyre continues to be amongst the largest exporters of truck / bus bias and radial tyres from India. 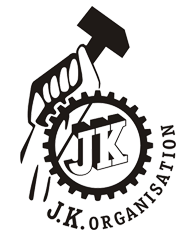 Additionally JK Tyre also markets passenger car, light truck, farm and off the road tyres across most global markets.As published by the Automotive Tyre Manufacturer’s Association, the total export value from JK Tyre during the year 2012-13 was 18% of the total export by the Indian Tyre Industry. JK Tyre’s bias tyres command a premium price and image across major bias global markets. All products conform to international quality certifications such as TS 16949, 'DOT'(USA), 'E' mark (Europe), 'INMETRO (Brazil), 'GCC' (Middle East Gulf), ‘SONCAP’ (Nigeria), 'ITS' (Kenya), SNI (Indonesia) etc. In recognition of JKTIL’s exports efforts, we have received numerous recognitions and awards from the Indian government as well as business chambers.